Do you need more storage space for your computer? In order to do so, you’re going to need to choose between using an external or internal hard drive. Tech lovers all over have their preferences between the two. Some may argue that external hard drives are best because of their portability and easy installation. Others will opt for internal hard drives because they are less expensive and have a lot more storage space. So, when it comes to an internal vs external hard drive, this article will help you make a sound decision. Just keep reading! Internal and external hard drives work very similarly. Both products are essential for using a computer, and they’re both reliable for storing and retrieving files. 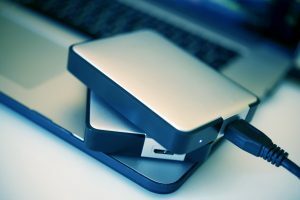 Without a hard drive, a computer wouldn’t have information for a user to access, a method of saving files, and no way of completing any type of process. You can read more here to learn how important hard drives are. So, let’s start this comparison by noting the main difference between external and internal hard drives. Internal hard drives are located inside your machine, such as in the body of the laptop or the tower of a desktop computer. External hard drives, on the other hand, are connected to any type of computer through either a USB cord or FireWire. If you’re trying to choose which one will work best for your situation, we’ll go into greater detail below. External hard drives are convenient in many different ways. For starters, they’re easy to install. All you will need to do is to plug it into your computer with a USB or FireWire cord. From there, you will have prompts on your screen directing you to transfer and save your files. If you’ve ever used a flash drive or a thumb drive, the two work very similarly. Another benefit is that you aren’t only stuck using an external hard drive with your computer. You can use it to back up movie files from gaming devices like a Playstation, for example. Additionally, you can share information between devices. Some people find this especially helpful, especially when they’re transferring information from a work computer to a home computer. Lastly, an external hard drive can back up an internal hard drive. So, if you use your external drive frequently and your computer is lost, stolen, or broken, you’ll still have all of your information on the external hard drive. External hard drives are light in weight. You can easily put one in a pocket, backpack, or another bag. Also, you don’t need to use any special formatting. These drives can be used anywhere. You can increase the storage capacity of most external hard drives depending on the brand. With that said, most of them already have a ton of storage capacity that you can use for photos, videos, and files. Since all of your information it literally in your hands with an external hard drive, it’s not as vulnerable to hackers as phones, computers, and other devices with Internet connectivity. Internal hard drives carry a lot of the same benefits as externals. Yet, they still have benefits that their counterparts lack. Since they are directly connected to your motherboard and don’t have to travel through a cable, internal hard drives work much faster. With that said, if you’re using a laptop, you cannot install a second hard drive because there isn’t any room for it. Instead, when you get a second internal hard drive, you’re doing so for the purpose of replacing the original one, not increasing your storage. If you are using a desktop computer, installing a second internal hard drive will require you to open the tower or shell. Because most people don’t want to do this much, they tend to lean toward an external hard drive. Whether you’re thinking about the price of an internal hard drive as something that came with your computer or you’re looking at the price of purchasing it on its own, they are usually cheaper than high-end external hard drives. An internal hard drive is always connected to your computer, so you never have to worry about misplacing or losing it. The chances of you finding an external hard drive that has more storage space than an internal one are slim to none. You will always have the most storage available while using an internal drive. One of the biggest benefits of using an internal hard drive is that it can be upgraded. Whether the drive needs more space or it simply isn’t running as well as it once did, you’ll just have to purchase an upgrade. Additionally, you can replace and upgrade many other parts that are located in the tower of your desktop computer. When it comes to choosing between an internal vs external hard drive, the main factor is your preference. If you’re someone who travels often and would like to back up files on multiple systems, an external hard drive is probably your best bet. If you want more tech-related articles, follow us today. There’s plenty more where that came from.